Traveling this summer? Don't forget to pack the suntan lotion. And check in to your flight online. 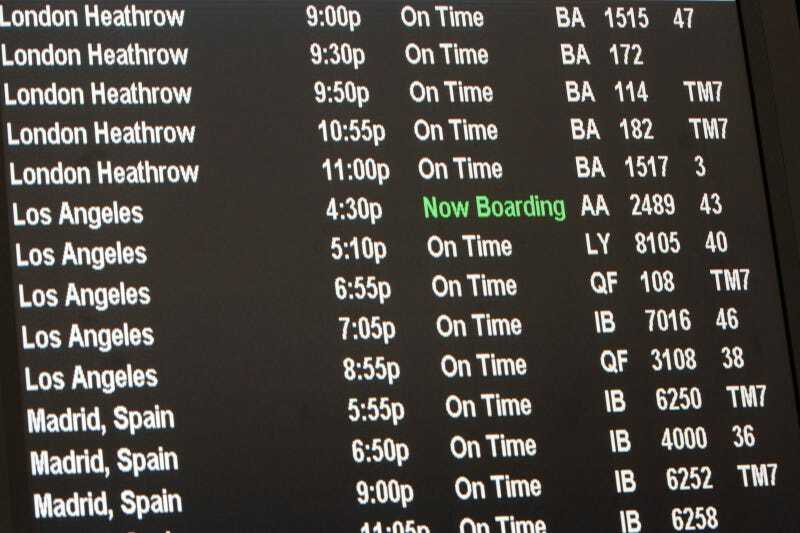 And check if your flight is delayed using your flight number. Speaking of, how the hell do airplanes come up with flight numbers? Apparently there's a system! Like did you know flights that go east or north are usually given even numbers while west and south flights have odd flight numbers. MentalFloss decided to crack the mystery of flight numbers (they aren't just random lottery picks) and found a few patterns. Along with the odd and even distinction, return flights on troundtrip tickets are given a number one higher/lower than the original flight. Also, the lower the number (we're talking single or double digit flight numbers), the more money it makes for the airplane.